The most important aspect of Reiki is Attunement or Reiju (pronounced Ray-joo), it’s a kind of mystical process. The process of opening of a channel for the free flow of energy and linking one to higher and finer levels of energy is called Attunement. Reiki Initiation or Reiki Attunement is a process of re-connection to Spirit. Every person has a subtle healing energy within, but the attunement process makes us more sensitive to this healing energy. After attunement, a person can more easily connect to Reiki source, as it is Divine Source.
. First-degree attunements focus on elevating the energy of the physical body so that it may channel more intense healing energy; whereas Second Degree attunements work more directly on the etheric body and tend to stimulate the intuitive center which is located at the Pituitary gland. So it becomes easier for those attuned to Reiki-Second Degree to send and receive information on an intuitive level. Master attunement expand Reiki Practioner’s abilities through meditation. The Reiki channel constantly lives under the guidance of his higher self, his Master, and the spiritual guides. Master attunement merge all the spiritual, emotional, mental, etheric and physical bodies into one and whatever is happening after that are not coincidences but all happenings and energies serve a definite purpose. For me personally, it is impossible to practice Reiki confidently and with accomplishment without the attunement. It is a process where Reiki master creates energy patterns or symbols around the student, which are attuned to Universal energy of life. One would not be able to get these symbols in subconscious without the help of a Reiki Master. The ability is passed on during an attunement given by a Reiki Master. The human body is an amalgamation of different systems in a physical body, subtle bodies, known and unknown chakras in and outside of our physical body. All these are co-related. The vibrational change in a physical body definitely affects other also. Attunement is a process which attunes our mind, body, and soul. It is an abstruse process, each and every individual respond uniquely to the process of attunement. The after effects of an attunement process always differ from person to person, as required by their own system. After first attunement, some side effects experienced also known as Cleansing Period. During this cleansing period, the body will detoxify itself of toxins that have built up over time, and will bring about positive changes in your life. On a physical level, it could be diarrhea for one/two days, runny nose, feeling tired or lethargic. After Level 2 attunement , emotional cleansing takes place. If something unhealed on the emotional plane, starts to surface, and with Self -Reiki healed timely. 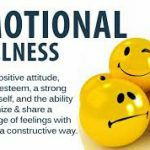 Bring awareness to any feeling of sadness, grief, feeling teary, happiness or any other type of emotion. It is all part of a process, witness it which enables us to be a clearer channel of Reiki. There are no lasting negative effects, all after effects cleanses your system, allowing to grow you as a spiritual person. To lessen the after effects of attunement some precautions should be followed. Avoid consuming meat and alcohol at least a week before attunement. Practice some light and easy yoga exercises. Prepared yourself mentally for attunement by meditating on breaths at least for 10 min.daily. Attunement is a beautiful process which enables you to heal yourself as well as others. When you are attuned to Reiki, spiritual transformation takes place slowly but steadily. As we become more sensitive to energy, when you receive Reiki attunement shift of energy definitely takes place. Every person has a psychic gift or a combination gift, of course not everybody is aware of it. Reiki attunement opens up a person’s psychic abilities. The receiver may feel Alpha or even Theta state conducive to meditation. In this state, you may receive some psychic messages. More you practice Reiki, the more increased chances of developing psychic abilities, so be Attuned !!! Thanks a lot for your commemnt, but there is a huge Reiki Community, more knowledgeable than me. Thanks for sharing I had a girlfriend in college who swore by Reiki. I always found the concept fascinating because of how powerful and mysterious our minds really are. Yes Nick, our minds are incredibly powerful, we can never understand its mysteries and how amazing it is. Hardly very few are aware that our subconscious plays a major role in our lives. Pospi, glad you like it ! Sounds interesting.. I never heard of Reiki before. Seems that there are a lot of believers. I am not sure I can be so dedicated to something to attain attunement. Thanks for the insight! Hey Fairy, can understand what you are saying, but Reiki is not a belief system i.e. if you believe in Reiki, then only you get the result. Reiki is within us, it is the most natural thing to any human being. 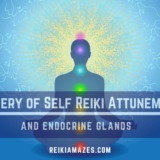 Once you know the real nature of Reiki, you will be thrilled to get attune. It’s a God’s gift, whereby you are entitled to heal others ! How does this sound to you? Isn’t it amazing that you can heal yourself, others, plants, and planets? Wow! Our body was wonderfully made. Thanks for this great tips. you are welcome Inyene, human body is the most amazing thing, you can just imagine the beauty of the CREATOR by its creation. It is very cool that you walk people through the process in a simple way. You also have a balanced approach to the presentation. Read once on a different blog that had various drawing to illustrate but yours is more on detail writing, all good, both blogs have done great on Reiki. Thumbs up for the share. Lex, thanks, you like this article. Every Reiki Practitioner goes through a hard training and practice to reach a certain level in Reiki. 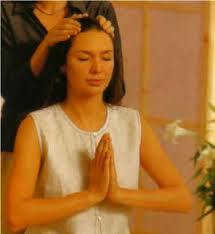 Everybody has a different style and ways to convey the Reiki massage. I appreciate all the Reiki Channels and practitioners who sincerely doing their work. I enjoy reading all of your posts as they are clearly explained and are really informative! Thanks a lot! Thanks Veethee, I know you are a great admirer of Reiki, so no doubt you enjoy reading about Reiki. Hello im interested in reiki and found ur blog to be very inspiring in my journey. however i did have one question: do u think that maybe these symbols are just like a placebo effect. like anchoring a strong feeling with the symbols over time to trick our brains into believing that they hold power but its just our brains needing a physical placebo to make it more secure? Hey Garry, thanks for your kind words. I appreciate you asking this question because many a time I also questioned myself about placebo effects. You can not deny the placebo effect,and you can use it – either positive or negative way. The human brain is an unsolved mystery. But as far as symbols are concerned, they have their own meanings. 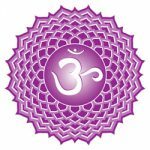 Like OM is a symbol and it creates a profound effect on your overall health conditions even if you just listen to it religiously for a certain amount of time, without knowing its effect and its importance. So see, it’s not a placebo effect. We have some man made symbols which we use on our daily basis, like while traveling we come across many signs and symbols. We believe and follow them because we know who made it and for what purpose. We tend to doubt things, which science cannot prove by evidence. But does that mean that they don’t exist and meaningless? Can we see gravitational force? No, but we feel it every day. Science believes it because now it is a proven fact. Same way, years before science was against aura, just because Science was not able to prove it. But now Science itself accepts the fact that aura exists and actually we can use it to diagnose many diseases. Reiki symbols and for that matter any symbol has a specific meaning and importance attach to it. Please do visit again, and comment on my latest article on how distant healing works. Our brain plays a role of an interface in connecting with the higher intelligence and our DNA is capable of receiving and sending information!